Everyday should be a thanksgiving. If people only realized how much of their success is owed to others and circumstances, they will be more thankful and less arrogant. Thankfulness is according to me a way towards detachment. Great thoughts, and totally agree! While I’ve always been a “polite person” for the most part, up until recently my “thank yous” were more of a mechanical response than anything else. Now I strive to be TRULY thankful, rather than just going through the motions. 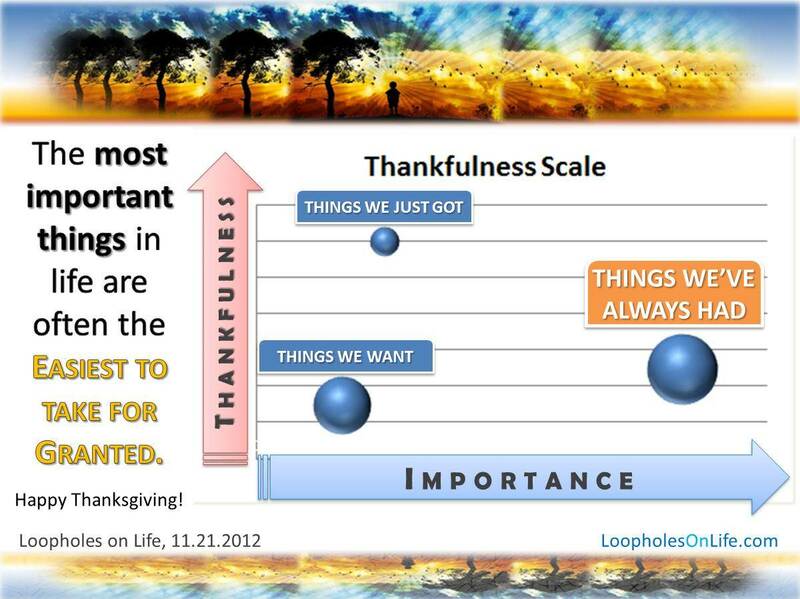 AND, to your point, THAT is when “being thankful” became something more – it can truly be humbling, help one be more content, and likewise HAPPY! Btw Rohit, I love how you put it in terms of “detachment” – it got me thinking, and while it could be interpreted a few ways, I think all of them make alot of sense. (whether detaching from the material world, from the ego or any number of things)! Very insightful! Thanks for sharing your thoughts! Previous Previous post: Inspired by: the definition of Gobbler!